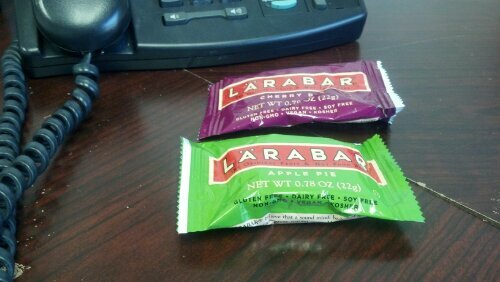 I’m obsessed with Larabars. I picked up a box of peanut butter and jelly the other day, and it was so good! Thanks for checking out our blog! PB&J! I’ll have to try those, saw some peanut butter cookie ones that caught my eye, too! I like them so much, I’m filling out ambassador paperwork!